Born in Pittsburgh, PA, Cliff has an extensive resume as a hockey player as well as an amateur coach and instructor. Cliff is excited to pass along his knowledge as a player and coach to all National Elite participants. Coach Conway has coached AAA hockey in Pittsburgh for the last eight years with the Pittsburgh Hornets and Pittsburgh Penguins Elite where he has coached the 1998, 2001, 2004 and 2005 birth year teams. Coach Conway also serves as Head Coach at Upper St. Clair High School. 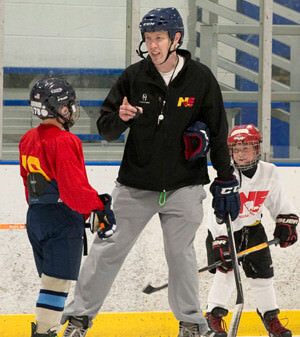 He has an elementary education background which he uses to develop young hockey players. Mike has been coaching for over eleven years, first as a high-school coach and then AAA with the Pittsburgh Amateur Penguins. For five years, he has been the Head Coach of the 1996, 2001 and 2003 birth year teams with the Pittsburgh Hornets and the Pittsburgh Penguins Elite. Mike has coached Team Pennsylvania’s entry into the Brick Hockey Tournament in Edmonton, Alberta. Originally from Cranberry Township, PA, Mike played four years of Division III hockey at SUNY-Cortland before taking a position as an elementary educator. Kyle just recently finished a stint Head Coaching the West Virginia University Club team in 2014-2015. Before becoming the Head Coach, Kyle was an assistant coach at WVU for several seasons. Before his coaching career started, Kyle played amateur hockey for the Pittsburgh Amateur Penguins. He then moved on to play junior hockey from 2008-2010 with the Bridgewater Bandits of the Eastern Junior Hockey League. His play in juniors earn him a spot playing DIII hockey at Castleton State University from 2010-2014. Originally from Morgantown, WV, Kyle is taking his love for the game as a player and translating it into mentoring young hockey players. Matt is currently the Assistant Coach of the U16 AAA Pittsburgh Predators. He also serves as the Director of Goaltending Development at SHAHA. He has previously coached at the Pittsburgh Penguins Elite AAA Program. A native of Pittsburgh, Matt played goalie at the D1 club level at Robert Morris University before getting involved with coaching youth hockey.